This year, blog posts on PNES or Non-epileptic Attack Disorder (NEAD) have sprouted up in Hawaii and the Netherlands written by persons with PNES sharing their experiences. Another person living with PNES contacted me a few months back to discuss a book project in which testimonials of people living with PNES would be presented. I thought the project was fantastic and I agreed to collaborate. The goal will be to present the total picture of someone who lives with PNES: who they were before the PNES, how PNES came to occur in their lives, how they live now, and more. I will write a whole blog post on this in the near future. Thank you for your book and I am so grateful that this guide is available. Sad, but I feel it will almost take a ‘celebrity’ to have PNES for there to be a suitable discussion and more knowledge in society and the medical field of PNES. However, your continual work in the delivery of knowledge is truely appreciated. Thank you Dr. Myers for writing this book and for hosting the conference. Not only are you creating awareness about this condition, you are also giving those who live with PNES a voice, hope, and much needed dignity. Thank you, Magaly! 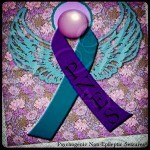 Your blog is a phenomenal force bringing awareness to PNES.